Adding a third child to our clan certainly made for a crazy year! Now that the summer months are here and hubby is off for the summer, I look forward to spending more time focusing on extra cash opportunities and paying off some of the debt we took on during his paternity leave. 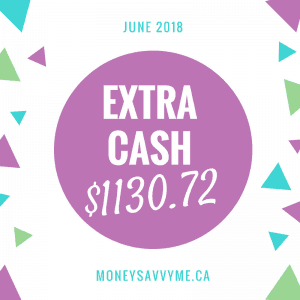 Even though it’s been slow going, we still managed to end up with an extra $1130.72 in June! ​Where did your extra money come from this month?